With the subject of insulation and R-value fresh in my mind again, I figured now is a good time to take it a little further. In the first article, I showed how to calculate the average R-value for lumpy insulation, and I assumed in that case that an attic had 50% coverage of R-50 and 50% coverage of R-10. The result was that the average R-value was an amazingly low R-17, not the R-30 you might guess. So, let's extrapolate. (Don't you love that word! I think it does for verbs what 'fenestration' does for nouns, but maybe that's just me.) Instead of an attic that's 50/50, let's look at one that's 99% good and only 1% bad. In this case, the 1% is from the attic pull-down stairs, which typically have no insulation. No, I am not kidding! Because of that 1% of the attic that's uninsulated, the average R-value for the whole attic drops by 27%. I told you it was amazing, didn't I? The reason for this is that, although the attic stairs account for only 1% of the area, the rate that heat flows through them by conduction (per square foot) is 38 times higher than in the insulated part of the attic. In other words, the amount of heat that flows through the 10 sf of attic stairs is the same as what flows through 380 sf of the insulated attic. Wow! Also, what I'm talking about here is just the heat that flows through the solid material, not all the extra heat that leaks through the gaps around the edge of the attic stairs. Remember, the building envelope has both insulation (to limit heat flow by conduction) and an air barrier. I'm just talking about the former here. So, what're you going to do? Add more insulation to the rest of the attic and bring it up to R-49? Or find a way to insulate the attic stairs? The answer's obvious, isn't it? Photo by kerryvaughan from flickr.com, used under a Creative Commons license. Barry, yeah, it's definitely one of those things that's easy to dismiss if the thought occurs to you because it's such a small percentage of the area. Next week I'll look at ways to reduce the problem of heat flow through attic stairs. attic tent manufacturers just hailed your name, Allison! good stuff! Thanks, Matt. I used to install attic stair covers, and that's one way to deal with the problem. I'm a bigger fan of moving the building envelope to the roofline, though, or moving the attic stairs out of the building envelope. Believe it or not. This is the last project I have planned for improving my home for the first round of improvements. Why? The cover would just get in the way of getting in an out, which I was doing many times a day. Some of us don't have budgets for moving the roofline. But, I'm not a big fan of moving the attic entrance outside the building envelope either. The problem is security and more importantly, fire separation between the garage and house. Building a fire wall in the attic is no fun either! They say there are fire-rated attic stairs though. The ones I've seen don't look any different from the old ones! Sam: Good points. Depending on what you're doing in the attic, though, and how you plan to address the hole, sometimes it makes sense to do it first. Yeah, you home inspectors have a thing about fire, don't you? This post and your "Flat or lumpy" post completely explain our recent experience. They also inspired me to run up a spreadsheet based on your calcs and the equations you give to examine our situation. Having raised our 400 sq ft attic floor level with 9 inch joists 400 o.c. across existing 4 inch joists insulated our attic at home (in Ireland) with total of 12 inches of new cellulose gives us theoretical R-49 for insulation alone. Using the spreadsheet to account for the attic hatch and the timber joist losses, the actual average insulation for this small attic works out at only R-15 !! Insulation was done end of last winter and we noticed then and at start of this that all that work had not made as big a difference as we had hoped. This was no doubt compounded by air leakage at the hatch, especially when windy. I have now added a solid 5 inch thick slab of XPS extending onto the cellulose by 6" all round the hatch. It's easily latched up to access attic storage area. Air leakage is much reduced too. Did this a six weeks ago and we instantly noticed our bedrooms are warmer. Run the spreadsheet again with the XPS and all is revealed. R-value is now R-43. Adding $35- worth of XPS has almost tripled the average R-value of the entire attic. Put another way, by not insulating the attic hatch, for every $1,000- we spent on R-49 insulation we were getting a value of just $360- for the actual result of R-15. We still don't get R-49 because of the joists to give storage floor but R-43 is fine. Thanks for explaining this so straightforwardly. Excellent blog altogether too (arrived via the GBA review). Paul, thanks for writing about your experience and using the math to confirm what was going in your house. I don't think I exaggerated a whole lot when I said that the energy penalty of an uninsulated attic hatch is mind-blowing. PS I love the beautiful woodwork in those houses on your website. Ireland's on my list of places to visit, since my heritage is mostly Irish and Scotch-Irish, and I'd love to see it first-hand. All this points to the need for better hatchways. How about a properly air sealed, insulated hatch door, with lock, jamb and pre applied trim, closures and sturdy stairs? The better unit will cost more like $500 - $750 + installation. But Allison's story shows there is a real need for a high quality hatch product. The wooden kits out there now are 1800's technology. The newer models with aluminum stairs = 1950's technology (aluminum). The attic hatch is in effect a door to the outside of the house. Yet the products being sold are not much better than an outhouse door. Builders and remodelers should demand better. Diane, you're absolutely right. The standard pull-down stairs are a disaster when you put them in an insulated ceiling. If you put fiberglass batt (Don't!) under the steps, you create a safety hazard and it doesn't do much good anyway. There are some good units out there, but they're generally a lot more expensive. There are also insulated, air-tight covers that you can put either above or below the stairs. I'll talk about some the options in another article. Please check out our Therma-BLOC. We have done our research and some of the biggest builders in TX are going with this product. What happens if you make the hatch r-5? 2009 IECC Section 402.2.3 and 2009 IRC Section N1102.2.3 and 2012 IECC Section R402.2.4 reads: "Access hatches and doors. Access doors from conditioned spaces to unconditioned spaces (e.g., attics and crawl spaces) shall be weatherstripped and insulated to a level equivalent to the insulation on the surrounding surfaces." Energy Star Version 3 requirements conform with the 2009, 2012 IECC and 2009, 2012 IRC. The 2012 International Green Construction Code conforms to the 2012 IECC. These Code requirements mean the attic access pull down ladder or access hatch must now be insulated to the same level as the rest of the attic (minimum R-30). Our Battic Door R-50 Attic Stair Cover Insulation Kit is your attic access solution that meets these new Codes. 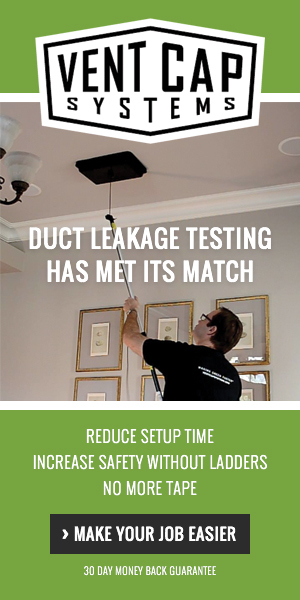 It provides an air-sealed attic access that helps to increase your blower door test results. It is important to note that R-5, R-10 attic ladders Do Not Meet Code - they must be insulated to minimum of R-30. Also see our R-42 & R-50 E-Z Hatch attic access door, a high performance attic access hatch that is an alternative to energy wasting pull down ladders. Optional locking version for multi-family, shared attics, etc.